1. Raven, J.A., Long-distance transport in non-vascular plants, Plant Cell Environ., 26, 73, 2003. 2. Raven, J.A., The evolution of vascular land plants in relation to supracellular transport processes, Adv. Bot. Res., 5, 153, 1987. 3. Sperry, J.S., Evolution of water transport and xylem structure, Int. J. Plant Sci., 164, S115, 2003. Niklas, K.J., The evolution of tracheid diameter in early vascular plants and its implications on the hydraulic conductance of the primary xylem strand, Evolution, 39, 1110, 1985. Hubbard, R.M. et al., Stomatal conductance and photosynthesis vary linearly with plant hydraulic conductance in ponderosa pine, Plant Cell Environ., 24, 113, 2001. Meinzer, F.C. et al., Environmental and physiological regulation of transpiration in tropical forest gap species: The influence of boundary layer and hydraulic properties, Oecologia, 101, 514, 1995. Meinzer, F.C. and Grantz, D.A., Stomatal and hydraulic conductance in growing sugarcane: Stomatal adjustment to water transport capacity, Plant Cell Environ., 13, 383, 1990. Saliendra, N.Z., Meinzer, F.C., and Grantz, D.A., Water potential in sugarcane measured from leaf segments in a pressure chamber, Agron. J., 82, 359, 1990. Sperry, J.S., Alder, N.N., and Eastlack, S.E., The effect of reduced hydraulic conductance on stomatal conductance and xylem cavitation, J. Exp. Bot., 44, 1075, 1993. Sperry, J.S. and Pockman, W.T., Limitation of transpiration by hydraulic conductance and xylem cavitation in Betula occidentalis, Plant Cell Environ., 16, 279, 1993. McCulloh, K.A., Sperry, J.S., and Adler, F.R., Water transport in plants obeys Murray's law, Nature, 421, 939, 2003. McCulloh, K.A., Sperry, J.S., and Adler, F.R., Murray's law and the hydraulic versus mechanical functioning of wood, Funct. Ecol., 18: 931-938, 2004. McCulloh, K.A. and Sperry, J.S., Patterns in hydraulic architecture and their implications for transport efficiency, Tree Physiol., 25: 257-267. McCulloh, K.A. and Sperry, J.S., The evaluation of Murray's law in Psilotum nudum (Psilotaceae), an analogue of ancestral plants, Am. J. Bot., in press. Enquist, B.J., West, G.B., and Brown, J.H., Quarter-power allometric scaling in vascular plants: Functional basis and ecological consequences, in Scaling in Biology, Brown, J.H. and West, G.B., Eds., Oxford University Press, Oxford, 2000, p. 167. West, G.B., Brown, J.H., and Enquist, B.J., A general model for the origin of allo-metric scaling laws in biology, Science, 276, 122, 1997. West, G.B., Brown, J.H., and Enquist, B.J., A general model for the structure and allometry of plant vascular systems, Nature, 400, 664, 1999. Kleiber, M., Body size and metabolism, Hilgardia, 6, 315, 1932. Niklas, K.J. and Enquist, B.J., Invariant scaling relationships for interspecific plant biomass production rates and body size, Proc. Natl. Acad. Sci. USA, 98, 2922, 2001. Dodds, P, Rothman, D., and Weitz, J., Re-examination of the "3/4-law" of metabolism, J. Theor. Biol., 209, 9, 2001. Kozlowski, J. and Konarzewski, M., Is West, Brown and Enquist's model of allometric scaling mathematically correct and biologically relevant? Funct. Ecol., 18, 283, 2004. West, G.B., Brown, J.H., and Enquist, B.J., The origin of universal scaling laws in biology, in Scaling in Biology, Brown, J.H. and West, G.B., Eds., Oxford University Press, Oxford, 2000, p. 87. Murray, C.D., The physiological principle of minimum work. I. The vascular system and the cost of blood volume., Proc. Natl. Acad. Sci. USA, 12, 207, 1926. LaBarbera, M., Principles of design of fluid transport systems in zoology, Science, 249, 992, 1990. Sherman, T.F., On connecting large vessels to small: The meaning of Murray's law, J. Gen. Physiol., 78, 431, 1981. Vogel, S., Life in Moving Fluids: The Physical Biology of Flow, 2nd ed., Princeton University Press, Princeton, NJ, 1994. 27. Zimmermann, M.H., Xylem Structure and the Ascent of Sap, Springer-Verlag, Berlin, 1983. 28. Sperry, J.S., Hacke, U.G., and Wheeler, J.W., Comparative analysis of end wall resistance in xylem conduits, Plant Cell Environ., 28: 456-465, 2005. 29. Zwieniecki, M.A., Melcher, PJ., and Holbrook, N.M., Hydraulic properties of individual xylem vessels of Fraxinus americana, J. Exp. Bot., 52, 257, 2001. 30. Pockman, W.T. and Sperry, J.S., Vulnerability to xylem cavitation and the distribution of Sonoran Desert vegetation, Am. J. Bot., 87, 1287, 2000. 31. Hacke, U.G. et al., Trends in wood density and structure are linked to prevention of xylem implosion by negative pressure, Oecologia, 126, 457, 2001. 32. Shinozaki, K., Yoda, K., Hozumi, K., and Kira, T., A quantitative analysis of plant form — the pipe model theory: II. Further evidence of the theory and its implications in forest ecology, Jpn. J. Ecol., 14, 133, 1964. 33. Shinozaki, K., Yoda, K., Hozumi, K., and Kira, T., A quantitative analysis of plant form — the Pipe Model Theory: I. Basic analysis, Jpn. J. Ecol., 14, 97, 1964. 34. Gartner, B.L., Patterns of xylem variation within a tree and their hydraulic and mechanical consequences, in Plant Stems: Physiological and Functional Morphology, Gartner, B. L., Ed., Academic Press, New York, 1995, p. 125. 35. Keller, J.B. and Niordson, F.I., The tallest column, J. Math. Mech., 16, 433, 1966. 36. Gallenmuller, F. et al., The growth form of Croton pullei (Euphorbiaceae) — Functional morphology and biomechanics of a neotropical liana, Plant Biol., 3, 50, 2001. 37. Speck, T. and Rowe, N.P., A quantitative approach for analytically defining size, growth form, and habit in living and fossil plants, in The Evolution of Plant Architecture, Kurmann, M.H. and Hemsley, A.R., Eds., Royal Botanic Garden, Kew, 1999, p. 447. 38. Andrade, J.L. et al., Regulation of water flux through trunks, branches, and leaves in trees of a lowland tropical forest, Oecologia, 115, 463, 1998. 39. Huber, B. and Schmidt, E., Weitere thermo-elektrische Untersuchungen uber den Transpirationsstrom der Baume., Tharandt Forst Jb, 87, 369, 1936. 40. McDonald, K.C., Zimmermann, R., and Kimball, J.S., Diurnal and spatial variation of xylem dielectric constant in Norway spruce (Picea abies [L.] Karst.) as related to microclimate, xylem sap flow, and xylem chemistry, IEEE Trans. Geosci. Remote Sensing, 40, 2063, 2002. 41. Richter, J.P., The Notebooks of Leonardo da Vinci (1452-1519), Compiled and Edited from the Original Manuscripts, Dover, New York, 1970. 42. Horn, H.S., Twigs, trees and the dynamics of carbon in the landscape, in Scaling in Biology, Brown, J.H. and West, G.B., Eds., Oxford University Press, Oxford, 2000, p. 199. 43. Lancashire, J.R. and Ennos, A.R., Modelling the hydrodynamic resistance of bordered pits, J. Exp. Bot., 53, 1485, 2002. 44. Davis, S.D., Sperry, J.S., and Hacke, U.G., The relationship between xylem conduit diameter and cavitation caused by freeze-thaw events, Am. J. Bot., 86, 1367, 1999. 45. Tyree, M., Davis, S., and Cochard, H., Biophysical perspectives of xylem evolution — Is there a tradeoff of hydraulic efficiency for vulnerability to dysfunction?, IAWA J., 15, 335, 1994. 46. Wheeler, J.W. et al., Inter-vessel pitting and cavitation in woody Rosaceae and other vesseled plants: A basis for a safety vs. efficiency trade-off in xylem transport, Plant Cell Environ., 28: 800-812, 2005. 47. 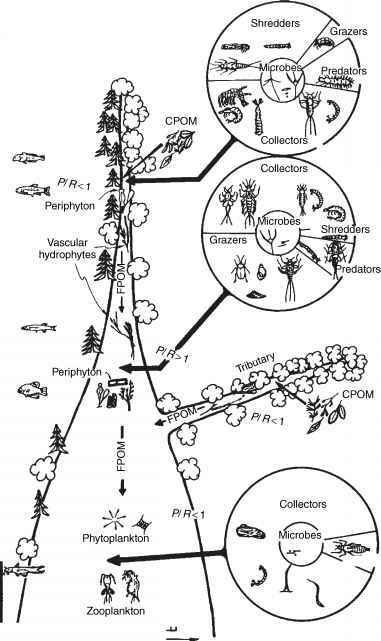 Becker, P, Tyree, M.T., and Tsuda, M., Hydraulic conductances of angiosperm versus conifers: Similar transport sufficiency at the whole-plant level, Tree Physiol., 19, 445, 1999. 48. Tyree, M.T. and Zimmermann, M.H., Xylem Structure and the Ascent of Sap, Springer, Berlin, 2002. 49. Bond, W.J., The tortoise and the hare: Ecology of angiosperm dominance and gym-nosperm persistence, Biol. J. Linn. Soc., 36, 227, 1989. 50. Kenrick, P and Crane, P.R., The origin and early evolution of plants on land, Nature, 389, 33, 1997. 51. Vincent, J.F.V. and Jeronimidis, G., The mechanical design of fossil plants, in Biomechanics and Evolution, Rayner, J.M.V. and Wootten, R.J., Eds., Cambridge University Press, Cambridge, 1991, p. 21.